Most city people think farms are flat and boring – kind of what you see from the highway at 100kph, on your way to somewhere else. They're wrong! Anyone who thinks this has never spent more than a few minutes on a farm. As you can see from this photo, farms are hard to stereotype. The lifestyle and work is much more diverse and interesting than what most city people experience. 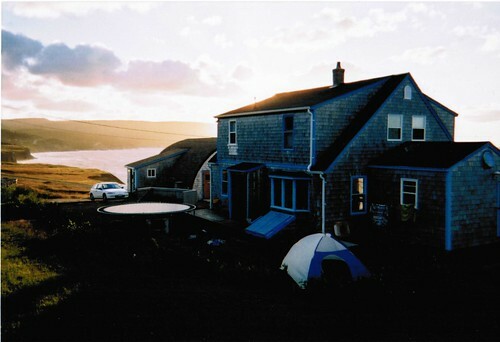 This is just one photo of a Wwoof host in Canada. Wwoofing is an amazing way to spend time on organic farms and gardens anywhere in the world. Yes, there can be a lot of hard work, depending on the economics of the farm and the time of year. But especially for someone from the city, at the same time it's an amazing vacation. Click here to learn more about Wwoofing. It includes links to Wwoof Canada and others. Note: "Wwoofing" tends to imply relatively short-term work-stays, from a few days to a few weeks, although some Wwoof hosts also are great places to intern or apprentice for the whole season. Other websites that focus more on month-long or season-long internships, apprenticeships, work-stays and jobs: GoodWork Green Jobs, PlanetVolunteer Canada, SOIL Canada, CRAFT Ontario, ACORN (Atlantic Canada), Manitoba Farm Mentorships and WWOOF (Worldwide). Want to see more? Check out my favourites section for more photos from other flickr users of beautiful small farms and gardens around the world. Everything below the northern lights pic are photos demonstrating the beauty in small-scale, biodiverse farms around the world, as well as the farmers and wwoofers themselves.